Action Homeless is making an urgent appeal for donations to help those affected by food poverty. The appeal has been launched after a record high of 163 customers accessed 674 days worth of food from their City Centre Food Stop in the last month. We are appealing for donations of ambient and fresh food so we can continue to support individuals and families in crisis. Having seen record numbers access the Food Stop last month, with 163 customers needing 674 days worth of food, our stock of key goods is running low. 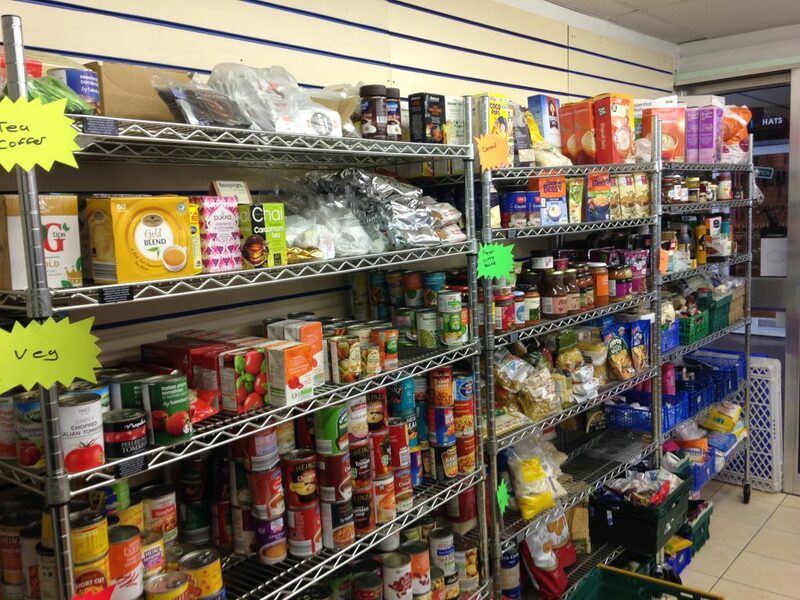 Items such as tinned goods, rice, and cooking oil are staples for any food parcel and it is our aim to meet the incredibly diverse range of dietary, cultural, and religious requirements of the people of Leicester. With your support, we can continue to meet these needs on a daily basis. Please help us tackle food poverty and homelessness in Leicester. You can see the full list of our donation requests here. You can drop off donations at our Food Stop, 20 Malcolm Arcade, LE1 5HJ. Opening hours are 1pm – 4:30pm, Monday to Friday. To arrange a delivery or to find out about our other drop-off points, please contact Tim Adkin on 07751 732 434.